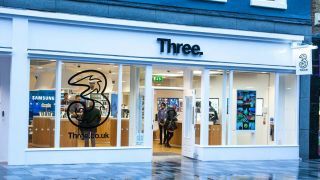 The UK could have boasted Europe's best mobile network, but after the proposed merger between O2 and Three was blocked we're going to miss out. At least, that's what Three believes. Speaking at a business update with TechRadar in attendance, Three UK CEO David Dyson briefly discussed the ruling by the EU Commission back in May. "I think it was the wrong decision. UK consumers have been robbed of the best mobile infrastructure in Europe. Italy will end up with better infrastructure than UK in the short term." Dyson said UK consumers have missed out on a bigger network, with more spectrum, better coverage and faster data speeds - and for Three itself it will find it more difficult to fight EE, which has just announced new superfast Cat 9 data speeds for flagship handsets. Three is drawing a line under the O2 merger, with Dyson saying "We have to accept that decision, move on and work with what we've got. Another merger not in the pipeline." So no merger with O2 and Three any time soon then - and the UK will continue to have four major players in the mobile market.